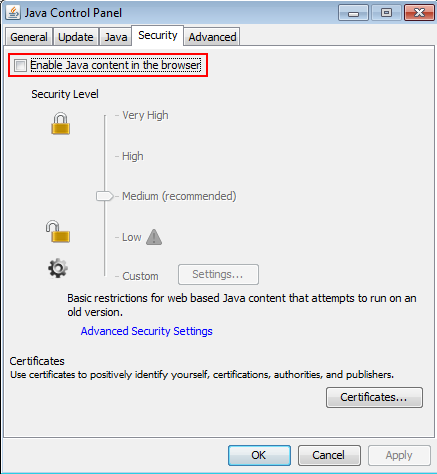 Oracle just published Java JDK 7 update 11 that addresses the 0-day vulnerability CVE-2013-0422. Quick reaction to a rapidly expanding threat. And Java works again on my Mac, XProtect Blacklisting lets it pass as expected. Oracle has made a statement that we can expect a fix for the current Java 7 0-day vulnerability shortly, but has not given a specific date yet. However, next week on Jan 15 is Oracle’s quarterly Critical Patch Update (CPU) Tuesday on when Oracle updates all of its other software packages with security fixes. 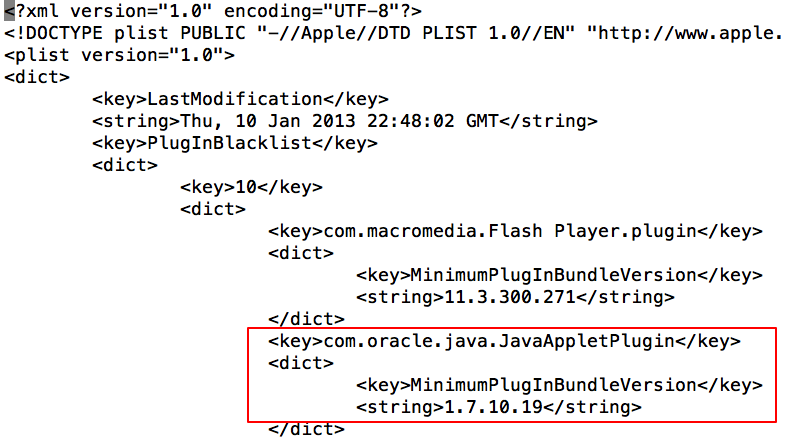 Meanwhile Apple has blacklisted the current Java build 1.7.10.18 on Mac OS X in its PlugInBlackList, which prevents it from running inside the browser. The exploit has now been integrated in the Metasploit framework, making it available for your internal testing. Other exploitkits, besides Blackhole that feature the exploit are Nuclear and RedKit. We can expect the exploit to get integrated into more kits rather quickly. 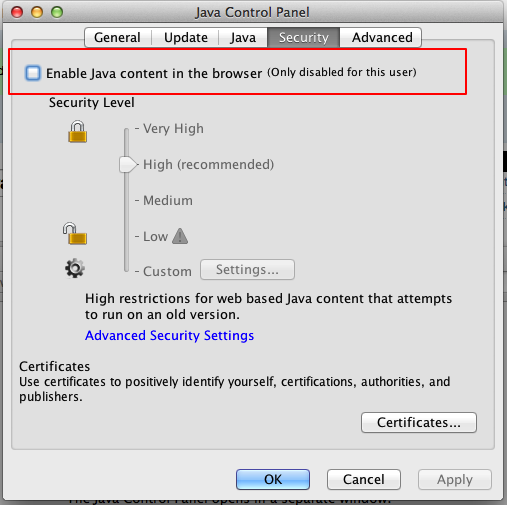 The US-CERT is warning of a Java 0-day vulnerability present in the latest version of Java 7 update 10. The typical attack vector is a malicious website and researchers are aware of sites hosting exploits for the vulnerability and Brian Krebs reported today that it has been integrated into the BlackHole exploit kit already. We will keep you posted on updates to the situation.